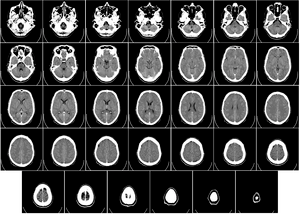 Just read a post on the increasing ability of neuroscientists to image and understand the brain. The author, Kathleen Taylor makes a very interesting observation that perhaps in the future the research of the brain will surpass the physical sciences in importance. She is probably biased given her neuroscience background but I feel that she has highlighted some fundamental questions with regard to how humans will interact with the world (or perhaps the universe?) and with each other in the future. She makes the point that the physical sciences have largely been insulated from how the knowledge gained from research in this area is used, given that there is no human input into their experimentation. The research is largely introspective or governed by mathematics or similarly prescriptive methods. The potential consequences of the research is not addressed at any time (at least in a formal sense) as there is little input from others apart from peers and supervisors with a similar research background. The difference between the physical and social sciences has been commented on in previous blog posts. Physical scientists, although brilliant in their own field, tend to make assumptions as to how humans fit into their models and how their research can be applied. Human behaviour is commonly included as a probability which then influences the remainder of the postulated model to provide results which do not necessarily reflect what actually happens in the real world. However, either these discrepancies are ignored, or assumed to be just part of a distribution of human behaviour. A system is then designed using such flawed thinking and typically, it is the poor old human operators who have to adapt and make up for such sloppy design when they have to make things work. Alternatively, these operators are seen as the problem when the system is subsequently audited as the ‘brilliant’ system design is hardly ever tested and/or seen to be at fault. At last there are glimmers of hope as safety management systems are identifying that these ‘brilliant’ systems are more often than not the cause of many failings, not just from the operator perspective. So the ‘human error‘ which historically has almost always been attributed as the cause of an accident is sheeted home to where it belon gs in the first place – the arrogant human who designed the system who was either unaware of or was permitted to ignore the fact that an inherent part of the design process is to understand how the human operator thinks and acts when interfacing with their system. On the other hand, social scientists and human scientists in particular have a core theme that human behaviour is far more complex and determined by sensory and perceptual aspects initially, then modified by cognitive processes which are also subject to change. These factors need to be addressed when modelling how a human operates with a machine or amongst themselves to make decisions etc. 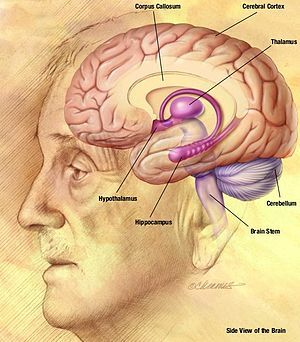 As discussed in Kathleen’s article, the brain is such a complex organ and it is subject to a massive range of inputs that we are only now becoming aware of how it works, and how to manipulate it. Perhaps in the new millennium, neuroscience may have similar advances as occurred in physics (relativity, quantum mechanics and understanding of atomic and sub-atomic structure for example) during the last. Kathleen highlights that the ethics of operating on the neural and molecular scale within the human brain and the resultant impact it may have on the individual concerned will be a central theme going forward. This is especially pertinent when entities such as commercial or government interests will be in a position to manipulate these factors and it is therefore something which needs to be addressed well prior to this particular genie escaping the bottle. Which leads back to Kathle en’s major point. She contends that neuroscience may overtake the physical sciences as the whole consciousness experience will determine how the human species develops into the future. The social/psychological/physiological sciences understand these aspects and, most importantly, understand the need for an ethical framework when addressing these matters. So at least we will be better placed than the current situation, where the physical scientists, who have neither of these fundamentals, seem to determine how technology develops and is applied. Perhaps we will then have a more level research field where social and human scientists are included at the very beginning and can (heaven forbid!) inform how technology is developed and applied to best advantage for the human user who will ultimately directly interact with it. I went to a workshop the other day and heard that a major vehicle manufacturer had adopted the use of touch screen control panels for all of their products. The speaker had been employed to study the human factors associated with these. His talk was very disturbing – drivers needed more visual attention to use these things effectively as they needed fine motor control (and therefore visual attention) to press the correct area on the screen for their selection, especially if the vehicle was pitching due to the road surface or other conditions. It made me wonder what bright spark in the company had decided that these displays were a good way to go. When we are trying so hard to reduce mobile phone and texting use because of the clear and significant problems they pose to road safety, we have a vehicle manufacturer that decides to integrate something into the vehicle which will undo everything that road safety authorities have so far done in this area due to a lack of understanding of the issues involved. I thought that we had learned from the initial BMW iDrive that technology for its own sake is not necessarily the way to go. It speaks volumes that BMW now have a very much enhanced vehicle control system which includes haptic feedback so that there is nowhere near the impact on visual resources that the original design had. And that’s good as the more visual attention is focused on the road, the safer all users will be (put it this way – if a driver is not looking at the external visual field there is no way that they can perceive and react to a potentially dangerous situation). It made me call to mind a conversation with an engineer who was working on electric vehicles. He said that they would incorporate noise into the car to emulate the typical sound of current cars. He insisted that it was the only way to retain safety for pedestrians. It called to mind the situation where a man with a red flag used to signal the approach of ‘horseless carriages’ when they were first introduced in the late nineteenth century. Why would you introduce noise into the environment when it may not be necessary – surely that is one of the advantages of electric vehicles? Imagine a city with substantially less road noise (and perhaps more liveable?) as a result. One disadvantage of course is that the auditory warning provided to pedestrians and other users would not be present, but I’m sure that we have the technology to overcome this aspect. The almost ubiquitous use of entertainment devices by commuters effectively attenuates these auditory cues in any case as has been tragically illustrated by pedestrians being killed because they stepped out in front of approaching vehicles whilst listening to music from their iPods. However, DSRC network technology could easily provide warning information to pedestrians if it is set up correctly and integrated with the mobile communication networks. Of course, there would need to be considerable human factors input so that any system is designed properly. One can only hope that the engineers, accountants and marketers who seem to rise to the top of these companies will realise the importance of fundamental human factors in their future products. Not just aspects such as usability testing, but the integral way that humans sense, perceive and process information. Perhaps we can then apply a safety systems approach to road use and reap the benefits of eliminating the contributors to potential incidents (such as poor vehicle controls) before they occur. 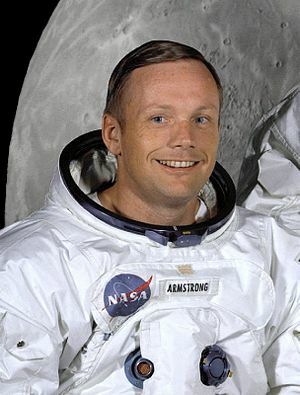 The passing of Neil Armstrong has brought back memories of the historic Moon landing in 1969. 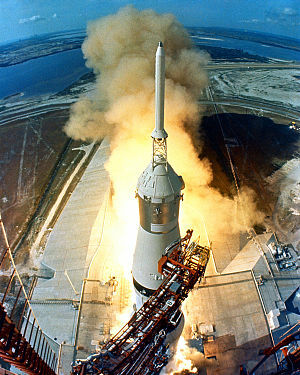 Many who are old enough will remember the awe and excitement of seeing the Apollo 11 mission on the grainy TVs of the day. I remember as a young boy that my school let the kids out early to view it and I recall peering through shop windows at the landing on the display TVs which were everywhere due to the significance of the event. Many people had the same idea – it was standing room only outside the local store. The various articles praise President Kennedy for the original vision, and the scientists and engineers who made it happen. But, as always, it was the human astronauts who carried out the mission, and I recall reading that Armstrong actually took control of the Lunar lander to steer it to its safe resting position after realizing that the planned location was unsuitable. This poses the question of what role humans will play in future manned missions into space. Will they just be cargo and the autonomous spaceship take them where it is programmed to go? Or will the specially trained commander of the mission and their crew do a similar yet higher tech version of Armstrong and have the final say in where they go? A few weeks ago, I posted a comment on the issues with regard to pilots becoming flight managers rather than retaining their ultimate control of the aircraft. There is a current discussion about the ramifications of this for the skills of the pilots and their ability to recover a situation if the automation controls fail for whatever reason. It seems that there is always a problem in striking a balance between automation and human control. In many circumstances, we get it right but there is still a view that humans should be excluded from decision processes. I think a better way to go is to provide the humans in executive control the information they require to make the right decisions. Robbing them of this basic situational awareness is a typical error in automation and the ramifications can be catastrophic. So, as always, we need to ensure that we provide the right information to the human in the loop, at the right time, and in the right format. That’s where human factorsprofessionals can help. Moin Rahman wrote a very informative piece about the various factors which influence emergency healthcare. He clearly illustrates the stages which occurred in the case study of a child who died from septic shock as a result of a small cut he received whilst playing basketball. Fits beautifully into the safety management systemframework. What is apparent immediately is that it reflects a common theme in society – the tendency to attribute blame to the end user despite the underlying reasons for an incident. As is so often the case in other areas such as aviation, road use and military applications, ‘human error’ is commonly given as the reason an incident occurred, often with deadly consequences. However, as Moin succinctly points out, there are very clear underlying factors that are probably more important and should be highlighted. The root cause is the process which almost makes the final act, in this case the death of a child, almost inevitable. Unfortunately, as in many fields where there is a high aspect of skill or ‘art’ in a profession such as medicine, these root causes are too often subsumed as there is an easy scapegoat on whom to focus attention. But what about the lack of funding, high workload and lack of resourcing common in the medical field, especially in public-funded or profit-driven private hospitals. As is now the case in OH&S matters, managers are increasingly being scrutinised regarding their contribution to an incident. Adopting Reason’s (1990) model as described in Moin’s article, their function is to provide the first three layers of the safety system and one would expect that they should shoulder an appropriate proportion of the blame if something does go wrong. Perhaps they would be less inclined to reduce services if they were held truly accountable for their actions. Perhaps the accountants who have no knowledge of the coalface and make cost cutting decisions without first taking a reasonable view of the potential results could take a fair cop as well. But then, how will they know what is wrong? What is a reasonable view? A theme which I have espoused in my other blogs is that many, if not all systems contain humans as an integral part. Therefore, a scientific, objective assessment of the human in the system should be fundamental. And given human scientist expertise in this area, it should be evident that they would be best placed to undertake this role. You are currently browsing the archives for the Risk Management category.